12/10/2018.- First open call for the Circularity Program of C-VoUCHER project was publicly announced on October, 3rd, at Mazovia Circular Congress in Płock (Poland) by FundingBox’s cofounder, Sanyu Karani. 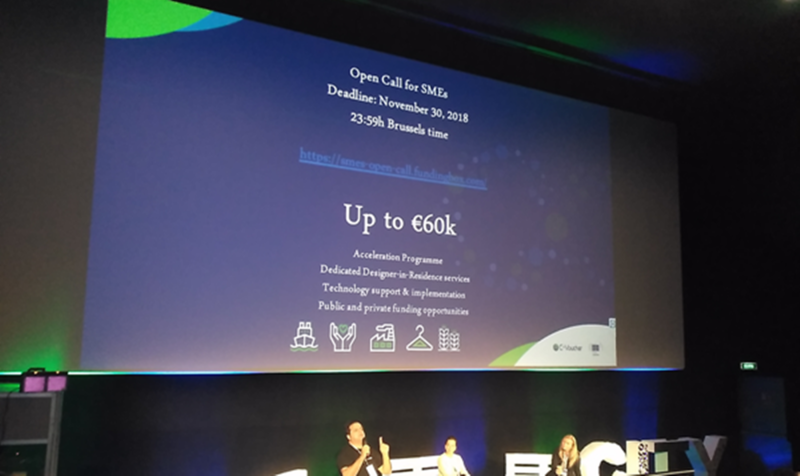 This open call targets SMEs ready to take part in C-VoUCHER’s Circularity Program (circular economy acceleration program) to create and design circular solutions (new, circular products or services) by using design thinking methodologies and implementing enabling technologies (Digital, Hybrid and Engineering). Selected SMEs will be stimulated to create innovative circularity solutions using these technologies in the following verticals: Agro-Food, partnered with Arla; Health, partnered with Neuca; Manufacturing, partnered with MADE; Blue Growth, partnered with Green Ship of the future, and Textile, partnered with Lifestyle and Design Cluster. This programme, which offers up to €60K worth support, includes tailored and dedicated Designer-in-Residence support (1-on-1 mentoring), vouchers for technology implementation, top business mentoring and further funding opportunities (both public and private). Mazovia Circular Congress has been hosted by Mazovia Region and organized by Mazovia Development Agency and the Industrial and Technology Park of Płock in the frame of Polish Circular Week. The event has addressed many aspects of circular economy under three areas (Circular City, Circular Food and Circular Manufacturing) in different sessions by more than 40 speakers from organizations in Europe active in this domain, such as Deloitte, International Development Norway, IKEA, INNOWO, UNEP – GRID Warszawa, the European Network of Chemical Regions, AgroBio Cluster and many more. C-VoUCHER is the first pan-European initiative, funded by the European Commission, adopting the concept of the Circular Economy to transform linear value chains (cradle to waste) towards circular models (cradle to cradle®). The project will distribute a total of €4.2M to SMEs through 4 open calls. This first call will select and invite 12 SMEs to a “Prototype-athon” (expected by January 2019) and the 6 best SMEs of those will participate in the Circularity Program, lasting 9 months, to create 6 innovative circularity solutions.